So I was lucky enough to get my hands on some of the honey a bunch of my homebrew club members went in on. I got a gallon of wildflower honey. Since the honey was crystalized, and I got it in a Lowes bucket, I decided I would heat my honey up and pasteurize it. Transferring it from the bucket was fun, but I thought up a good system that worked. I boiled a little water in a pan, and dipped my metal spoon in it to heat it up. Then the hot spoon scooped out the honey easily into another pan. 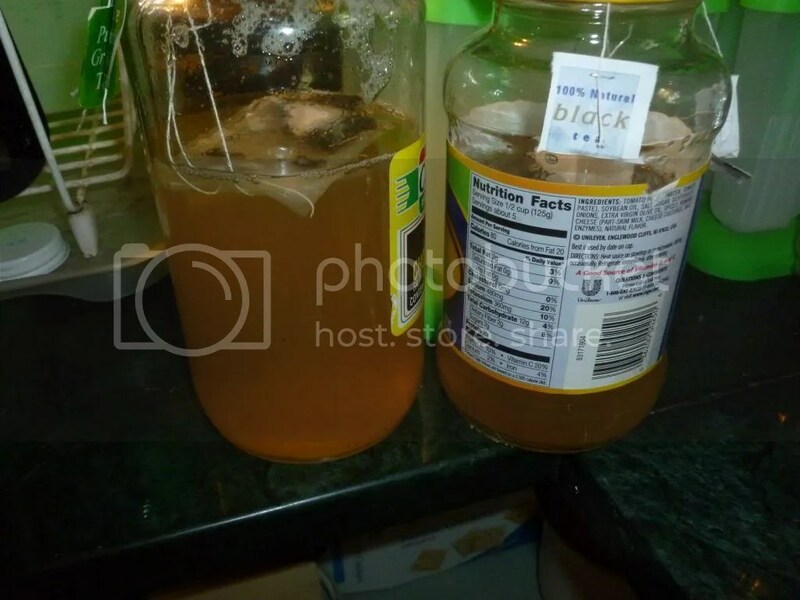 The pan I used for heating the spoon now contained a liquid that tasted too good to go to waste, so I poured it into some jars with tea bags to make a honey tea. 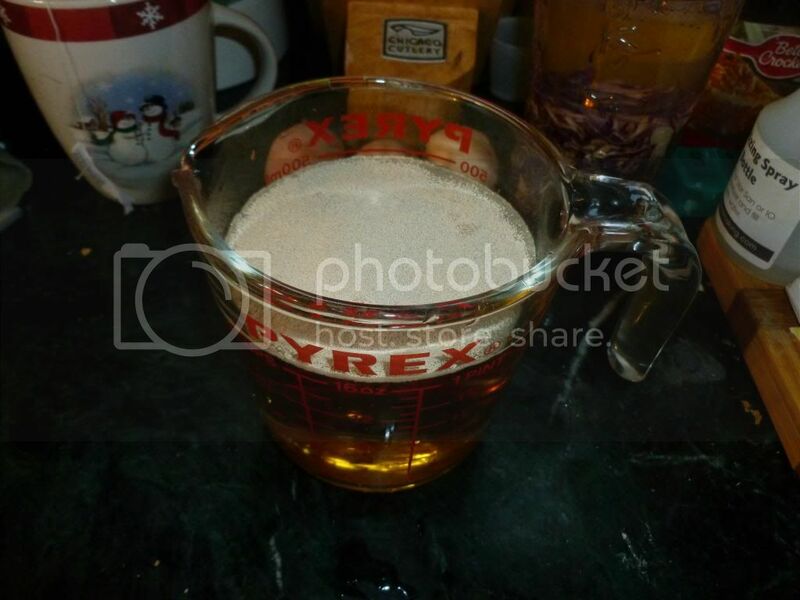 I also rinsed out all containers that had honey in them with the hot tea later. I bloomed two packets of US-05 in a pint of apple juice straight from the container. 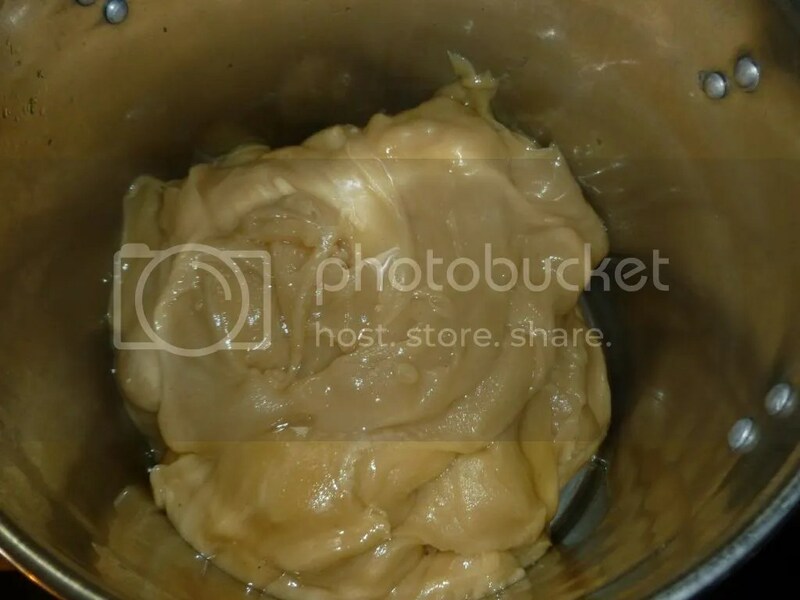 So I heated up 8 pounds of the wildflower honey in a big double boiler formed by two stainless steel pots. I got the honey up to 170ish by the time it all liquified. 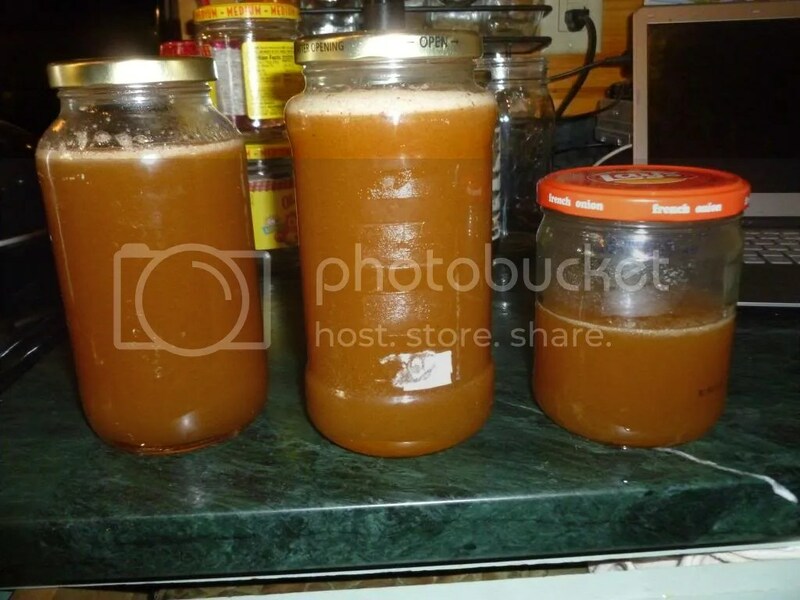 The honey was a lot easier to handle once it is liquified. While the honey heated up, I dumped 1/2 of four of the apple juice 1/2 gallon containers into the fermenter. The other halves got shook up with the 1# of brown sugar split between them. Lots of aeration. 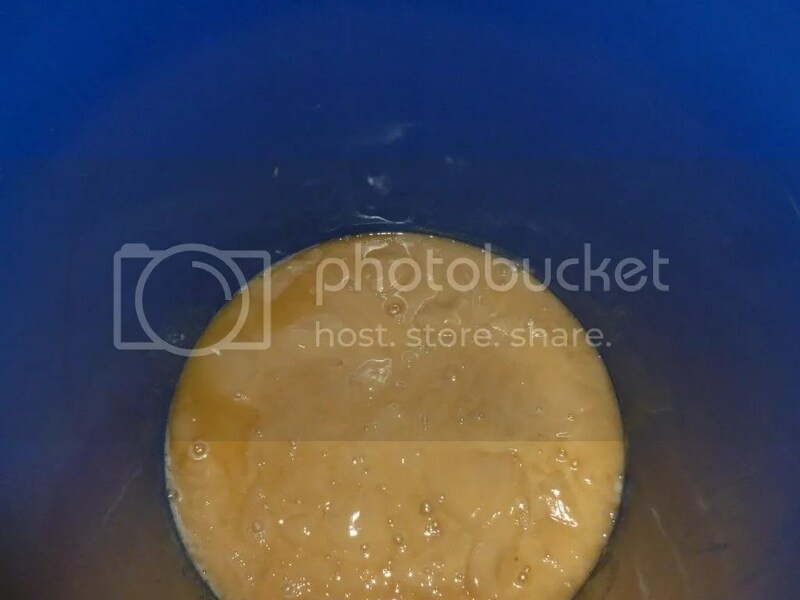 The remaining four apple juice containers were half emptied and each remaining half shook up before being dumped in the fermenter. 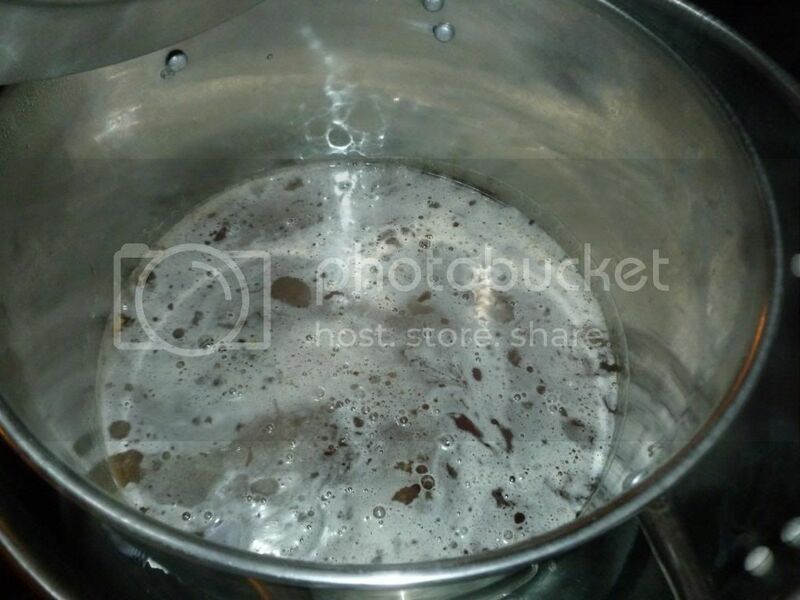 Once the honey was liquified, in it went too and I used my new 24″ stainless steel whisk to mix it up good. Yeast went in with the first 1/3 of the staggered yeast nutrient schedule, then it went down to my fermentation chamber set at 65F. 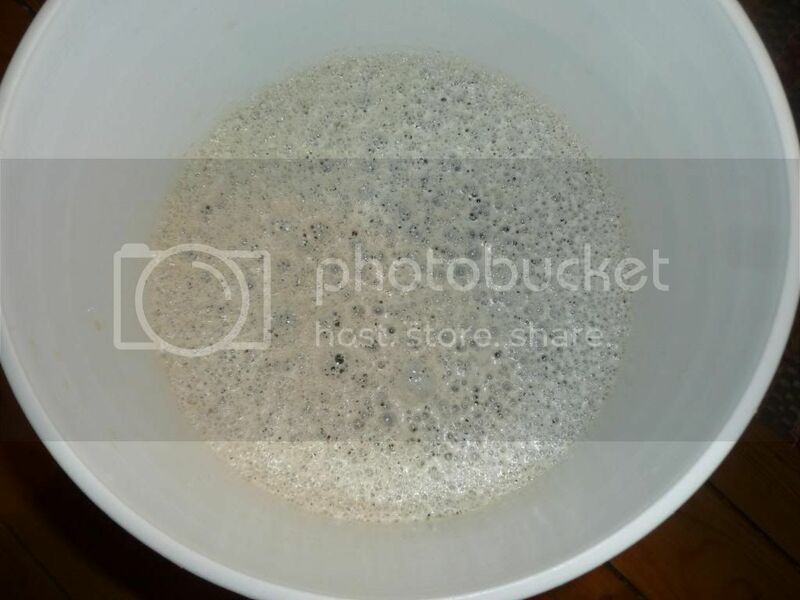 Here is the must ready for yeast! I liquified the additional honey from the gallon. The rest of the honey. 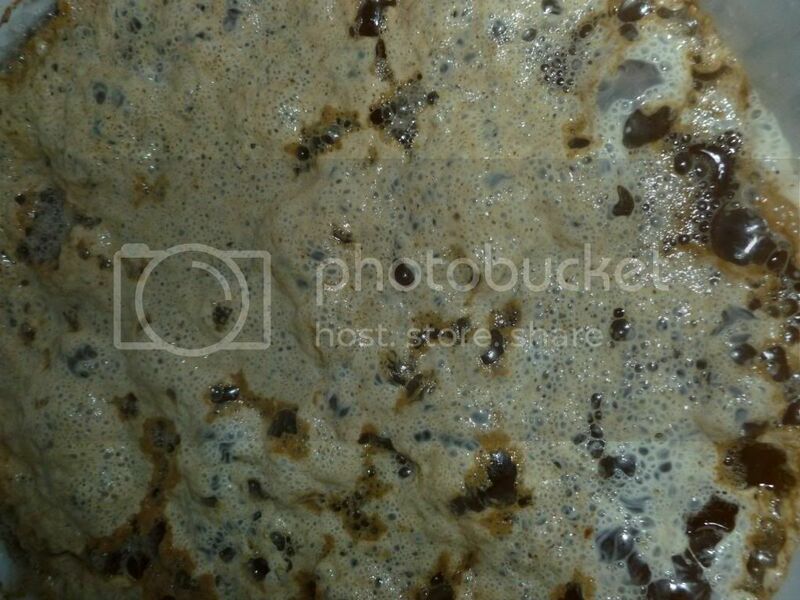 I woke up to a nice foamy krausen on the must today. The second addition of the staggered yeast nutrients went in on this fluffy pillow. Sure – one of the things you have to worry about with apple juice is that a lot of the “fresh” stuff actually has preservatives added to it – Unless you get it from an orchard and they have just pressed it it probably will have preservatives and be hard to ferment – I tend to use Mott’s or similar normal apple juice because it is pasturized instead of chemically treated As for a recipe for 5 gallon… 4.75 gallons apple juiceEnough honey to bring the starting gravity to 1.09571B-1122 yeastYeast nutrient of choice After it ferments dry you will probably want to sorbate and sweeten it with either honey or apple juice concentrate (or both) depending on whether you want more apple or more honey flavors. GO slow with the sweetening since you can always add more. You could add apple pie spice a little at a time as well it you like the cinnamon/nutmeg thing like I do. I find most apple juice to only have ascorbic acid (vitamin c) as the preservative and AJ with that stuff ferments easily. I make a ton of apfelwein and graff and have tried many brands of AJ without problem.